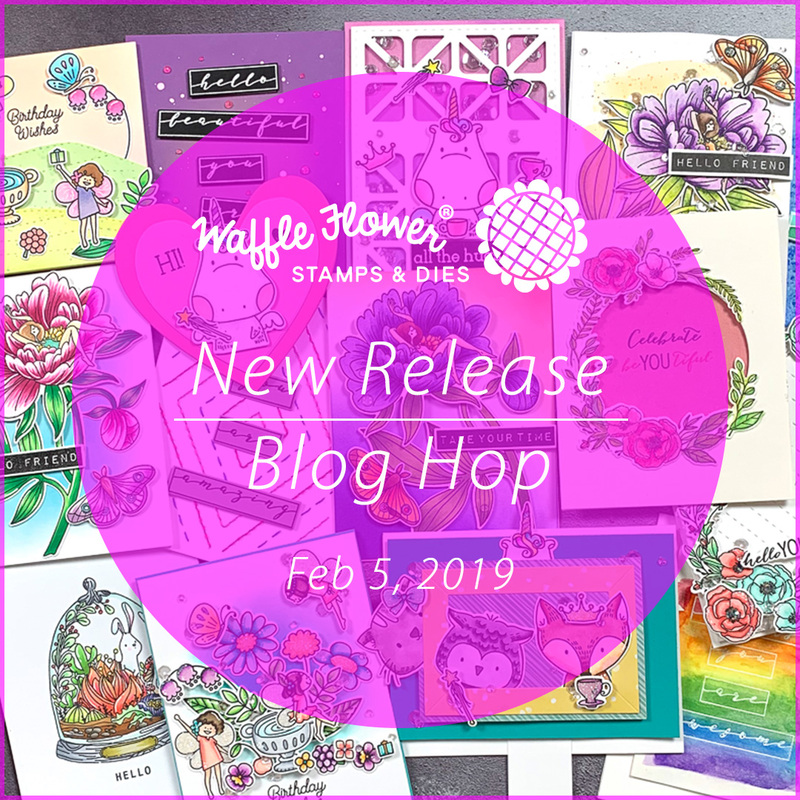 It is my favorite time of the month--Waffle Flower release day! 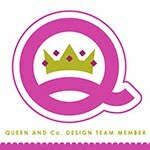 There are so many amazing products this month! 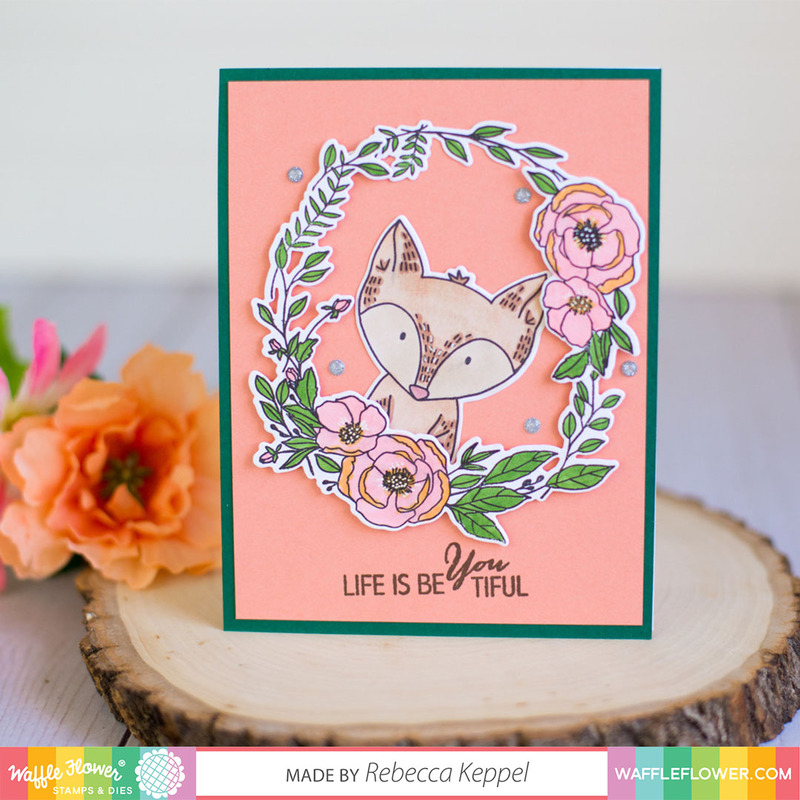 From fantastic florals to cute critters, lovely sentiments and more! Let me show you some of the cards I created using these new goodies! First up is the gorgeous Be You Tiful! 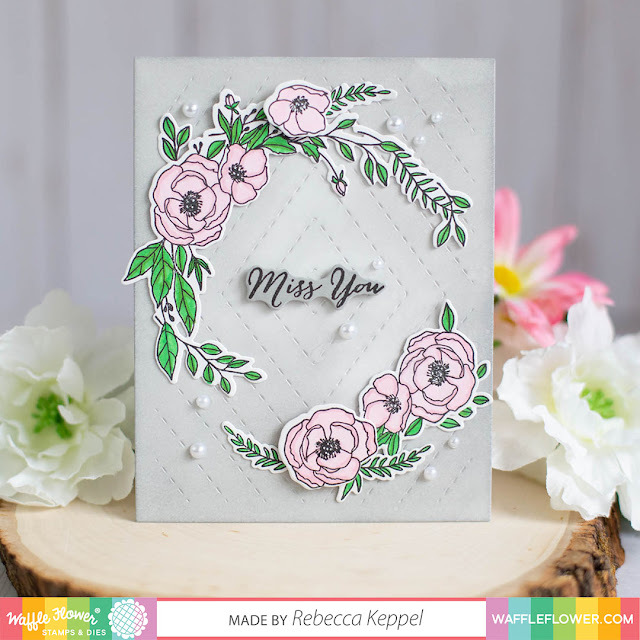 I love how you can use the pieces to create a wreath or floral corners or individual embellishments. Next up is the adorable Be Her. 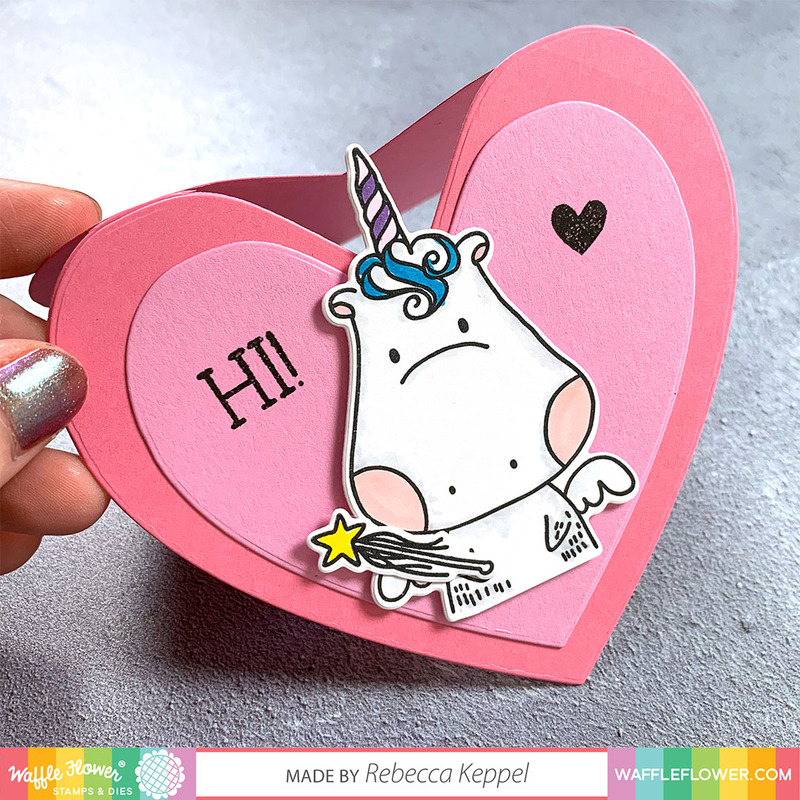 My daughter is a unicorn fanatic so of course I HAD to use the sweet unicorn face! The Be her animals are made to fit right inside the Be You Tiful wreath too! I love when you can use stamp sets together! 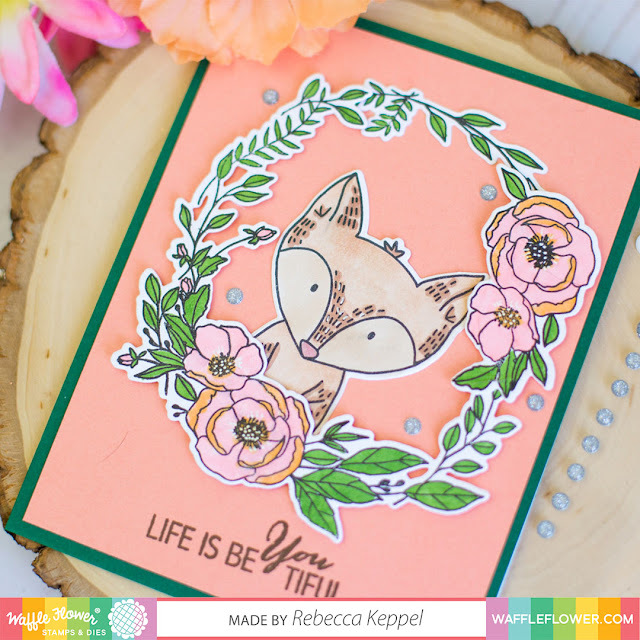 Next up, I combined the Label Greetings set with the Diamond Texture die. In the first card above, I used the Diamond Texture Die and inked over it to get the stitch lines to pop. This time I used them as stitching guides and then popped up the script sentiment from Label Greetings on top! 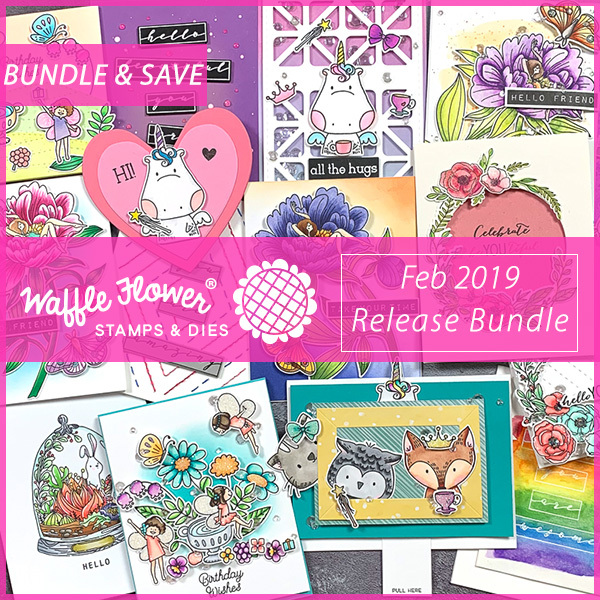 And don't forget you can grab the whole bundle HERE and save some $$!